Vibrant exterior panels combine the calmness of blue with the healing associations of green. 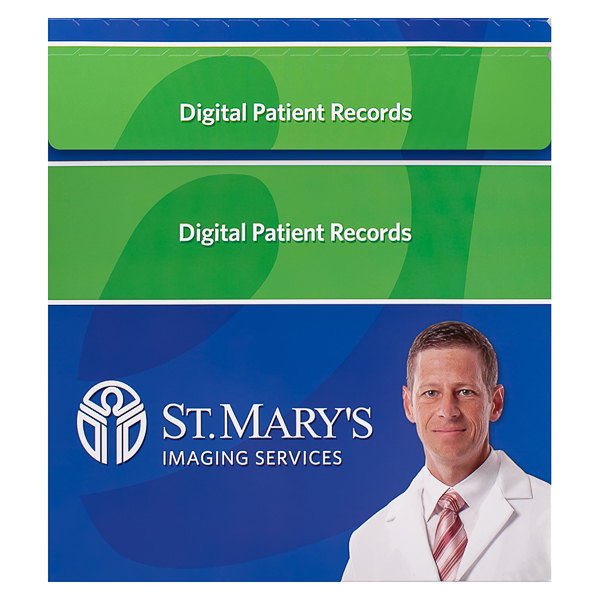 A doctor's photo beside St. Mary's logo adds a personal touch, reminding patients of the healthcare brand's medical imaging staff. Address lines printed on a white area make the writing visible. Four-color process printed on 12pt C1S White Semi-Gloss coated with Aqueous Gloss. 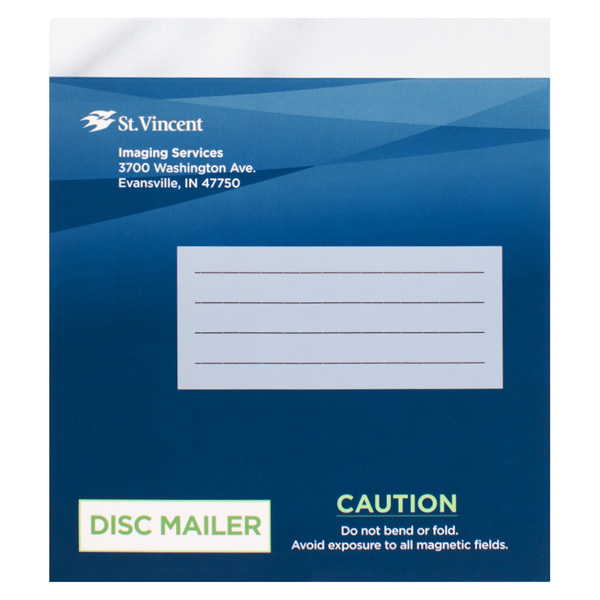 St Vincent's disc mailer uses a professional blue and white color scheme to put recipients in a calm, serene state of mind. The back features a photo of a doctor's smiling face, as well as several logos associated with the organization. When shipping a CD, DVD, or other standard 5" disc, this specially designed product will keep your media secure and looking good. A permanent adhesive strip seals the flap to the exterior and can withstand all the bumping, jostling, and rough handling that come with mailing packages. Customize both outer panels with images, text, or logos to create a visual experience that will impress everyone who sees it—even the workers at the shipping service. Dimension Open: 5 1/4" x 7 1/4"